Update: see photos from Vacation Bible School here. Kingdom Kidz will host Weird Animals Vacation Bible School (VBS) from July 28 to August 1, 2014. 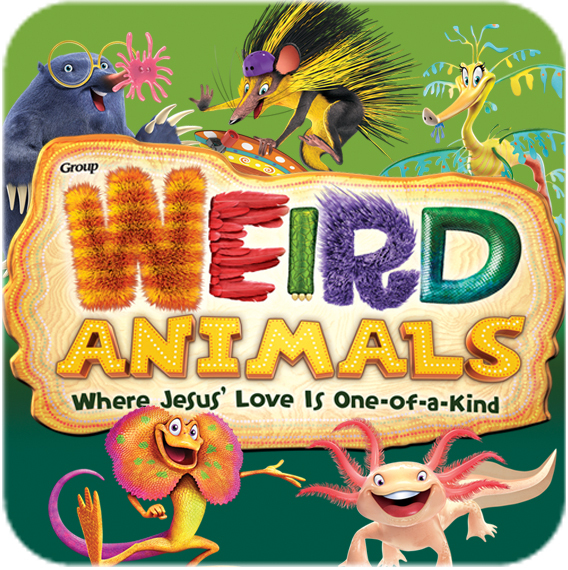 At Weird Animals, kids will learn about some of God’s most creative creations! They’ll participate in memorable Bible-learning activities, sing catchy songs, play teamwork-building games, make and dig into yummy treats, experience cool Bible adventures, get to know Bible Memory Buddies to remind them they are one of a kind, and test out Sciency-Fun Gizmos they’ll take home and play with all summer long. Plus, kids will learn to look for evidence of God all around them through something called God Sightings. Each day concludes with The Tail End—a celebration that gets everyone involved in living what they’ve learned. Family members and friends are encouraged to join in daily for this special time at 11:15 a.m. Kids at Weird Animals VBS will join the United Methodist Church’s Imagine No Malaria campaign. This mission is an effort to share God’s love by providing insecticide-treated mosquito nets to families in Africa. It is a global partnership providing hope for the people in Sub-Saharan Africa. Lifesaving announcements are delivered via radio. Health facilities provide diagnosis improvement, case management and access to medication. Training is provided to a grassroots network of community health workers. Weird Animals VBS is for kids from Preschool through 6th Grade and will run from 9:00 to 11:30 a.m. each day. There is no cost to join Weird Animals. For more information, call 510.429.3990 or email befoil@hotmail.com. VBS registration forms are available at the Welcome Center of SAINT PAUL UMC. We invite your children and their relatives, friends, classmates or neighbors to join us and experience at this unique adventure!